The Hikey 960 board has excellent performance and power efficiency. Excellent performance and power efficiency enables developers to explore a realm of new applications in virtual reality, computer vision, machine learning, and artificial intelligence using a validated, compact, and cost efficient platform package. Built on top of industry computing standards such as Google's Android Open Source Project, Khronos OpenCL 2.0. 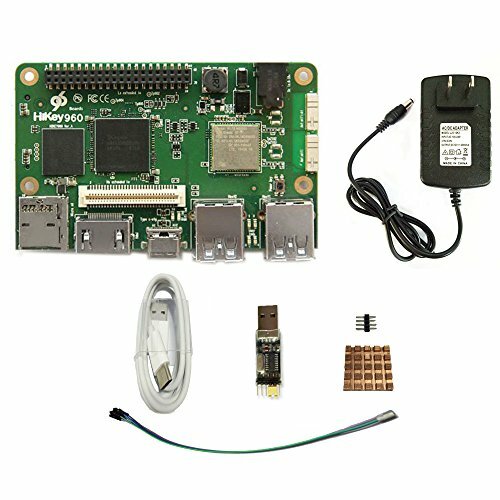 Make innovation easy and prototype the next generation of applications with this board today! If you have any questions about this product by smartfire info., contact us by completing and submitting the form below. If you are looking for a specif part number, please include it with your message.